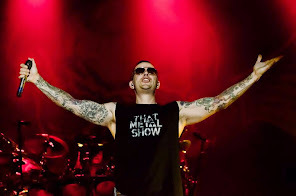 Matthew Charles Sanders became M.Shadows because he thought of himself as "the darker character in the group". Zachary James Baker became Zacky Vengeance because he wanted to get back at all the people from his youth that doubted his potential. Brian Elwin Haner, Jr. became Synyster Gates and claims his name was created on a drunken drive through the park with The Rev. James Owen Sullivan became The Rev. and according to an old magazine article, he originally wanted to be known as The Reverend Tholomew Plauge but it's not known why.